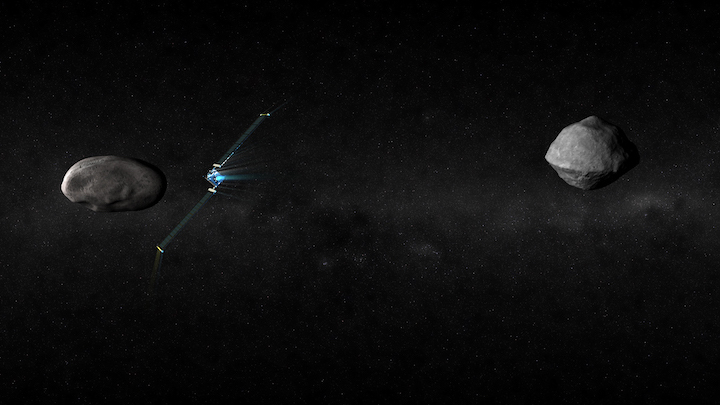 DART will target the smaller of the two objects (left) that make up the binary asteroid Didymos, which will be about 7 million miles (11 million kilometers) from Earth at the time of impact, scheduled for October 2022. 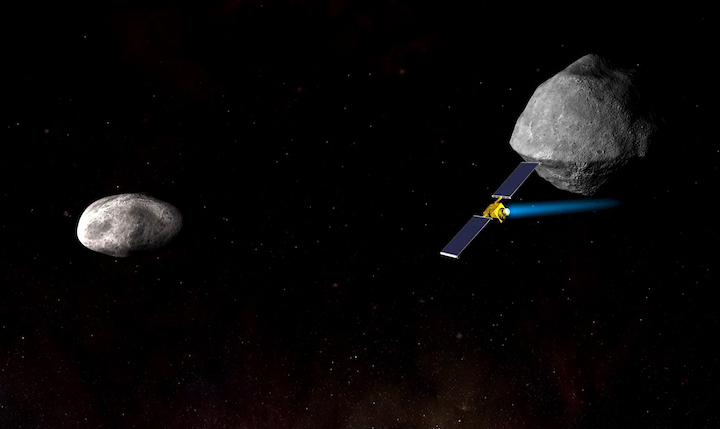 APL will build and operate the DART spacecraft and manages the mission for the Planetary Missions Program Office at Marshall Space Flight Center in Huntsville, Alabama. 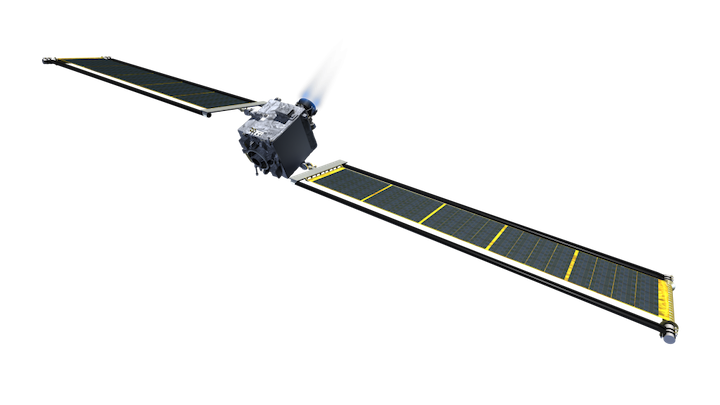 DART also is supported by teams from the Goddard Space Flight Center, Greenbelt, Maryland; Johnson Space Center, Houston, Texas; and the Jet Propulsion Laboratory, Pasadena, California.